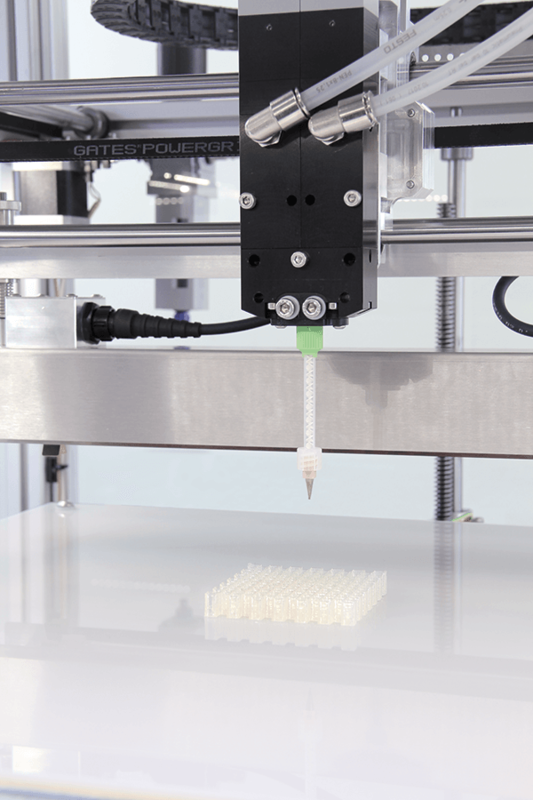 German RepRap has been active in pushing for the advancement of liquid additive manufacturing for quite a while now. With the launch of the L280, they appear to have cracked the code on making LAM a production-ready process. The company is looking to position the technology as a means of making parts that would be impossible to ordinarily make with injection molding technology in terms of both print quality and strength. The LAM printing process enables the solidification of liquid or high viscosity materials such as Liquid Silicone Rubber (LSR). It uses a material in a liquid form and vulcanises it under massive heat exposure for a cauterising effect. Unlike FFF/FDM technology, it is not based on melting a material and solidifying again. This gives it a distinct advantage in quality over injection molding due to the intense micro level control it allows. 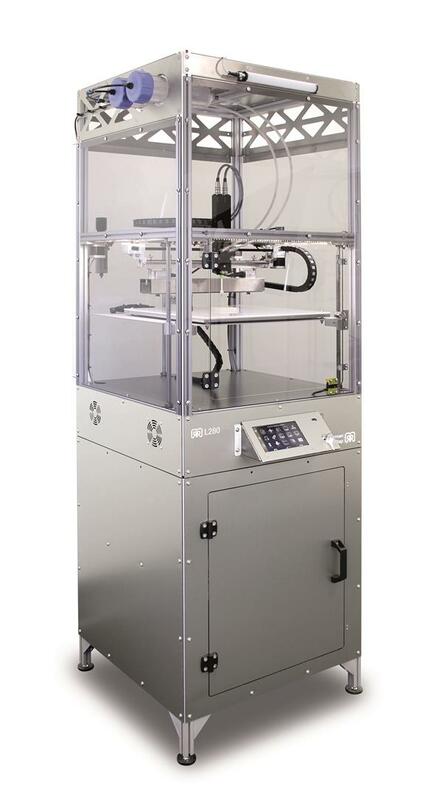 The L280 comes with a heated print bed, which maximises part adhesion and ensures optimal cross-linking. It also uses a high-temperature halogen lamp, selectively applying heat throughout the process. The multiple heat sources allow for far better adhesion, strength and print quality. The LAM process can use DOW chemicals’ “EVOLV3D LC 3335 Liquid Silicone Rubber” (LSR) material can be supplied either in cartridges or pail form. The L280 also monitors the print using a safety technology over the course of the curing process. The printer can thus immediately stop the process in case of any issues. A special light system provides information about the printing status as it continues along. According to RepRap, the company has extensively tested the technology and proven its reliability. They also provide a maintenance contract and a professional on-site service are available as an option from trained technicians. They can aid in the training people in the usage usage of the device’s hardware and software. Featured image courtesy of German RepRap.